The Soleil DSPX TLH-380 version is designed for a maximum input voltage of up to 1,000V having an output of 380Vac. 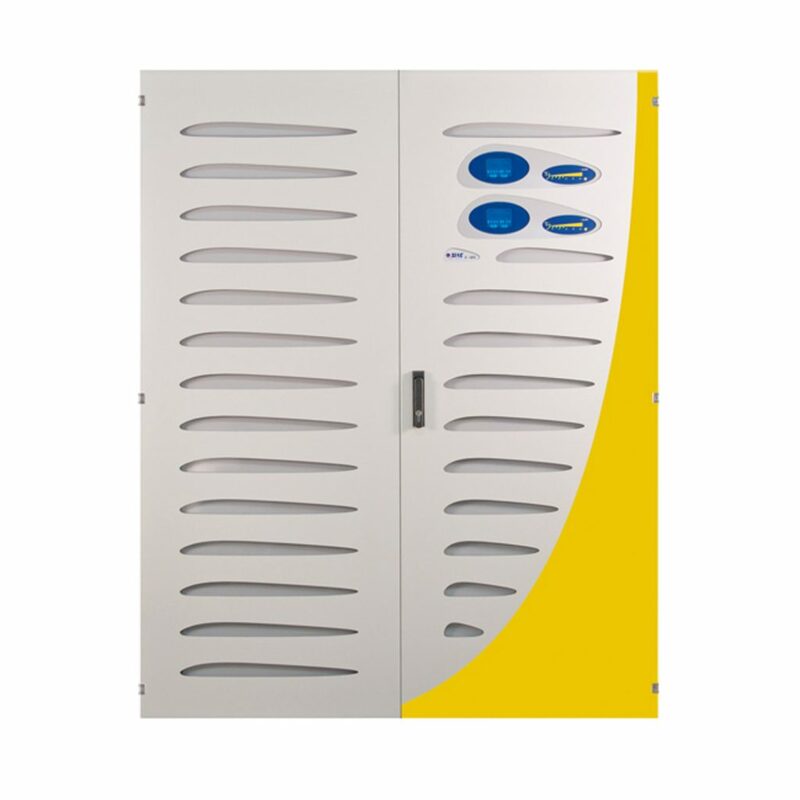 The SOLEIL DSPX series of Central Inverters offer the highest returns in the industry through the use of innovative design, modern components and, production techniques. Energy conversion is achieved via an IGBT PWM Inverter bridge combined with microprocessor control providing verified Euro efficiency values that exceed 98.3 %. The SOLEIL DSPX TLH–380 version is designed for a maximum input voltage of up to 1,000V having an output of 380Vac. The integral MPPT ensures maximum energy yields from any Solar installation.